When President Donald Trump said last week that the U.S. was “full,” he was reprising one of the dominant themes of his presidency: Immigration is harmful. The facts suggest otherwise. Not only do many studies show that immigrants are a net positive for the economy, their contribution amplifies with subsequent generations. 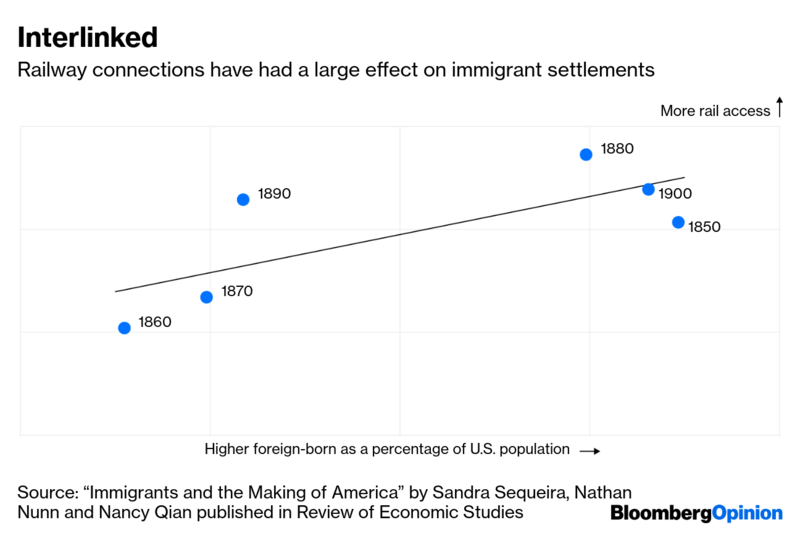 Put differently, they showed that communities with higher levels of railroad access had higher levels of immigration. 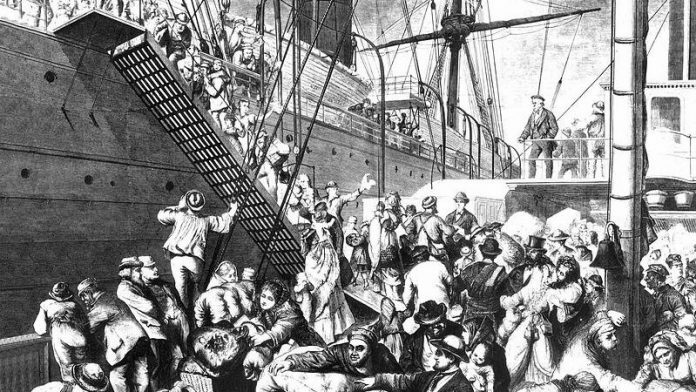 This enabled the authors to construct a model that predicted the number of immigrants per county – without having to accomplish the impossible task of checking the Census returns and actually counting every single inhabitant. 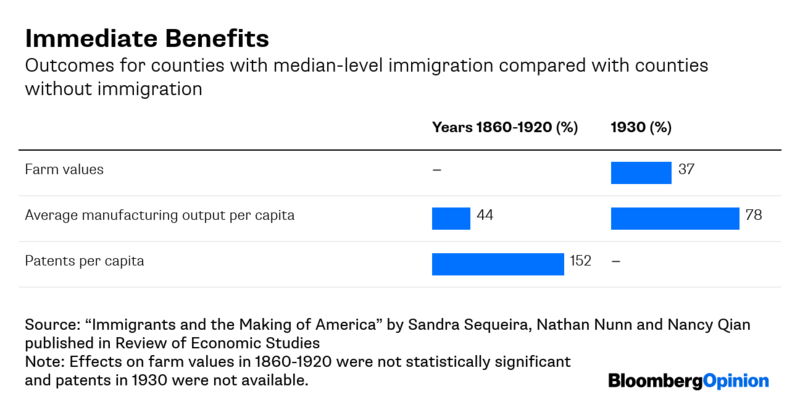 To understand these effects, imagine an average county that welcomed no immigrants in this critical period between 1850 and 1920. Then compare it with an average county right in the middle – the 50th percentile – of immigrants (meaning a county that was right in the middle of the extremes of no immigration and the maximum number of immigrants).